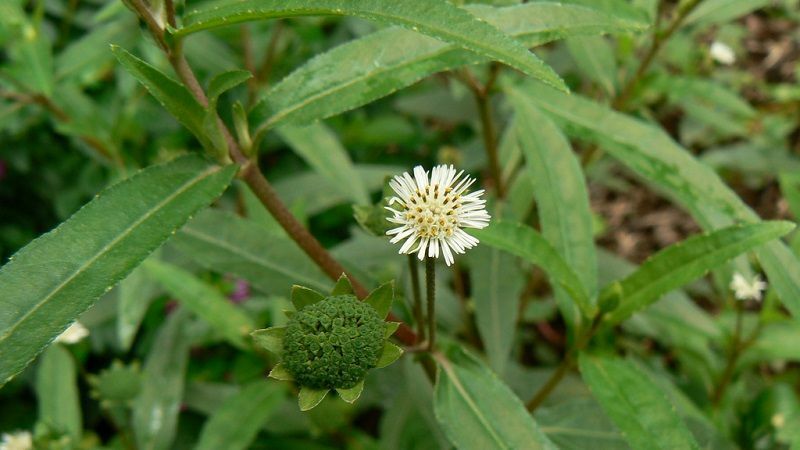 Bhringraj (Eclipta Prostrata or Eclipta Alba) is a famous herb known for its benefits and usage in hair growth and liver disorders. It is also an effective medicine for skin diseases, cough, asthma, eye disorders and diseases related to any part of the head. It improves hair growth, prevents hair fall and treats premature graying of hair. It improves complexion and glow of the skin and prevents several skin diseases. It is more beneficial in chronic skin diseases including pruritus (intense itching), chronic wounds, skin ulcers, atopic dermatitis (eczema) etc. It increases the production of bile from the liver, improves liver functions, reduces constipation and corrects digestion and enhances metabolism. Bhringraj is also called False Daisy in English. 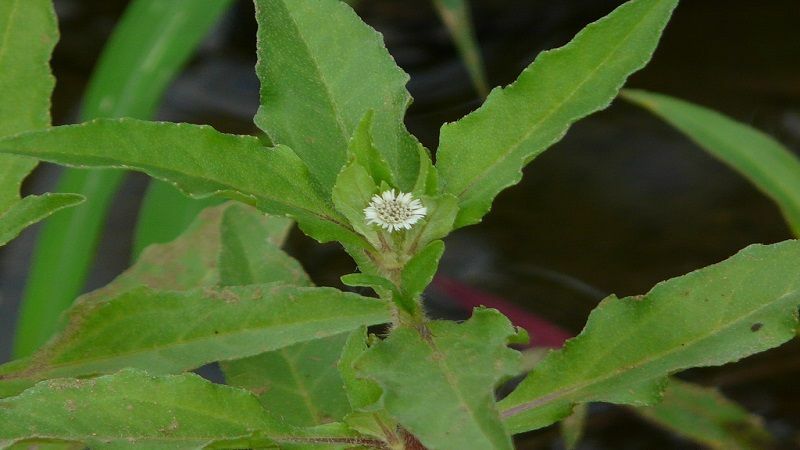 The accepted botanical name of Bhringraj is Eclipta Prostrata. 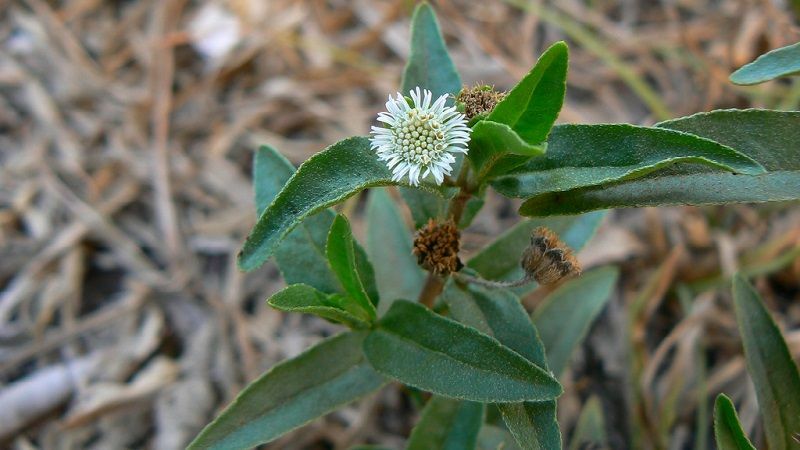 It is also known with the name of Eclipta Alba, which is a botanical synonym of Eclipta Prostrata. The whole plant (Panchang) of Bhringraj is used to prepare ayurvedic and herbal medicines. Bhringraj Juice (Svarasa) is used in many ayurvedic formulations including Bhringraaj Oil, Neelibhringadi Oil, and Mahabhringraj Oil. 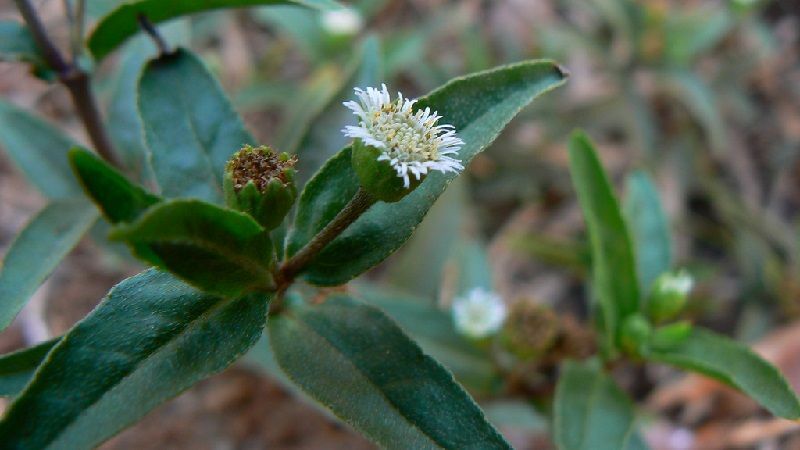 Bhringraj (Eclipta Prostrata) is helpful in following health conditions. Bhringraj can be included in the treatment of Hepatitis C. It will also help to improve liver functions as well as reduce the progress of the disease. In Ayurveda, it can be used in conjunction with Nagarmotha (Nut Grass) for getting good results. The similar combination is also effective in the management of Hepatitis B. The inflammation of the liver can impair its ability to conjugate and secrete bilirubin, which can result in jaundice due to an excess of bilirubin in the blood. This condition is also called as hyperbilirubinemia. This mixture is given 3 times a day for 3 to 5 days to reduce bilirubin level in the body and to treat jaundice. Curd and rice based diet is also recommended during the treatment. The good liver health can help to reduce the hair fall by processing hormones and fats, removing toxins, and improving hormone level in the body. These factors are common causes of hair fall. Therefore, Bhringraj is also an effective medicine for prevention and treatment of hair fall. However, its external application also helps to prevent hair fall by strengthening hair roots. Triphala Churna is soaked in Bhringraj Juice and left for drying. Later on, it is grounded to prepare a fine powder. It is called Bhringraj Siddha Triphala Churna. This powder is advised to take in the morning on empty stomach for treating premature whitening of hair. It shows good results within a month of its regular use. 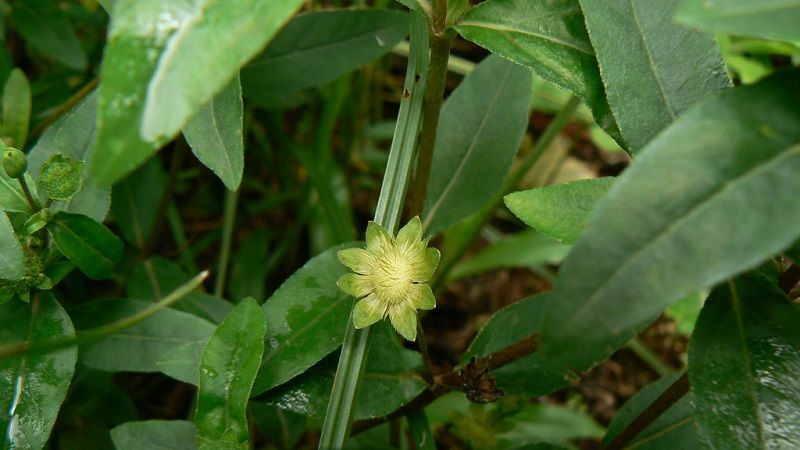 Bhringraj is used along with other ayurvedic medicines for treating chronic fever in which liver function impairs, or liver and spleen become enlarged. It is used when the patient is also suffering from poor digestion, loss of appetite, and aggravation of Kapha Dosha in the body. In such cases, 3 to 5 ml Bhringraj Juice is given with milk twice daily and the treatment is recommended for 2 to 3 weeks. Bhringraj juice along with honey is used for its expectorant action. It increases expectoration of the sputum and clears the lungs. It also further prevents mucus accumulation in the lungs and gives relief from productive cough. For the best results, it can be used along with Sitopaladi Churna. In children, Bhringraj juice with equal amount of honey is given 3 to 4 times a day or until child gets relief from breathing difficulties. It helps in relieving cough, high-pitched wheezing, and chest congestion. According to ayurveda, mucus discharge in the stool indicates poor digestion and build-up of AMA (toxins) in the digestive system. It is a common symptom in diseases such as irritable bowel syndrome (IBS), bacterial infections, inflammatory bowel diseases (IBD). Bhringraj is indicated when a patient has diarrhea and mucus discharge along with poor digestion, IBS, or bacterial infection. In these cases, it helps to improve digestion, reduces AMA (toxins), and due to its antibacterial effects, it also treats the infection. Note: In cases of IBD, or ulcerative colitis, or Crohn’s disease, Eclipta might not be a suitable medicine. Especially, it should be avoided if excess bleeding occurs in these cases. In such case, Bhringraj powder should be used along with old jaggery and Haritaki (Terminalia Chebula) powder. This combination is highly effective when the patient has nausea, vomiting, and burning sensation. Internal use: In headache and migraine, Bhringraj Juice is given in a dosage of 3 to 5 ml thrice daily. External use: It is also used as nasal instillation (Nasya) for treating migraine. For this purpose, Bhringraj Juice is mixed with an equal amount of goat’s milk. 2 to 3 drops of this mixture is instilled in each nostril before sunrise. It is highly effective if the patient has a headache that increases with sunrise and decreases after sunset. The condition is called SURYAVRAT in Ayurveda. Bhringraj is used in form of powder for improving eyesight and treating several eye disorders. The above formulation is given twice daily for 40 days to improve eyesight and to treat eye diseases. Bhringraj prevents pregnancy loss. Women suffering from a recurrent miscarriage can take Bhringraja Juice in a dosage of 3 ml on empty stomach in the morning along with Cow’s Milk. Traditionally, this remedy is used to prevent miscarriage and strengthen the uterus. In such cases, it should be started before re-planning of pregnancy and should be continued throughout the pregnancy. For getting best results, it can also be taken along with Ashwagandha, which is also used for similar purpose. Bhringraj Juice is used to reduce the accumulation of mercury in the body. It promotes its excretion from the body. Chewing fresh leaves of Bhringraj helps to treat mouth ulcers. The use of Bhringraj for increasing physical and mental strength, improving intelligence and memory, reducing debility, improving lifespan and enhancing immunity is called Bhringraaj Rasayana. For this purpose, the above combination is used for a year. It should be taken every day on empty stomach in the morning. Bhringraja Svarasa (Eclipta Juice) is also used for Rasayana (rejuvenating) purpose. 3 to 10 ml or more as per digestive capacity should be taken on empty stomach and should be continued for a month. In diet, only milk is allowed. This method increases lifespan and gives a healthy life. Bhringraj is used in form of 1. Powder, 2. Fresh Juice (Svarasa), and 3. Aqueous Extract. You might also get Bhringraj Capsule or tablets. If they contain a natural form of the herb i.e. powder, then the dosage should be calculated based on the dosage given under “Bhringraaj Powder Dosage” heading above. If capsules or tablets contain extract, then its dosage should be calculated according to “Bhringraja Extract Dosage”. Bhringraj in its natural form (i.e. powder, or juice) is Likely Safe for most individuals when taken as per its indications in appropriate dosage under the professional supervision. The maximum dosage should not exceed 9 grams per day for powder, 30 ml per day for juice, and 1500 mg per day for extract, extract capsule or tablets. Generally, no side effect occurs with Bhringraj when it is used wisely according to underlying Dosha and health conditions. There are no absolute contraindications for Bhringraaj. The safety profile of Bhringraj is not well established for pregnant women and lactating mothers. Consult an ayurvedic physician or herbalist before using Bhringraja during pregnancy and lactation. Yesterday, I had taken 6 grams bhringraj churna. Now, I have loose stools. What are side effects of bhringraj? Does it cause diarrhea? What is solution for it? You have taken very high dosage of Bhringraj powder. Now, you require to stop it for 2-3 days. No medication is required to control loose stools. It will recover itself. After 2-3 days, start taking it in dosage of 1.5 grams twice daily. Thank you for your prompt reply. I started bhringraj powder for hair re-growth and white hair. Does it provide results in 1.5 g dosage and how much time will it take to cure my problem? Yes, 1.5 grams is a sufficient dosage. In hair problems, it can take 3 to 6 months to show positive results. So, you must keep patience and take it regularly. Does bhringraj powder really regrow hair? If yes, how to use it for regrowing hair? Yes, it helps regrowing hair. One can take its bhringraj powder or capsule twice daily along with water. Are Eclipta Prostrata and Eclipta Alba same plants? Do they differ from each other? Which species is available in Indian market? 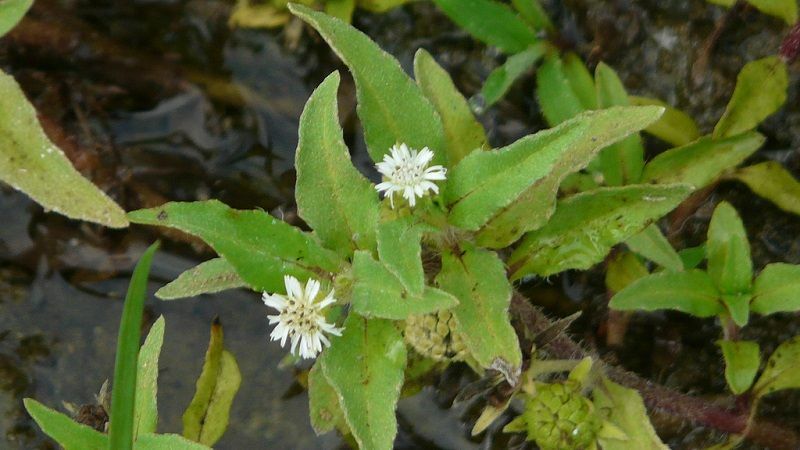 Eclipta Alba is botanically synonym of Eclipta Prostrata, so both are same plants. 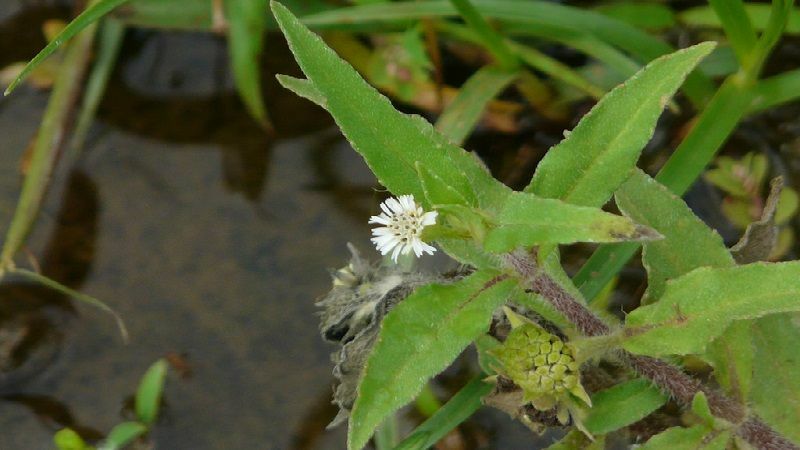 Previously, it was called Eclipta Alba, but now its botanical name changed to Eclipta Prostrata. Bhringraj Powder dovrebbe essere disponibile nei negozi online come Amazon. Dovresti google. You have written a great insight about Bhringraj herb. I cannot find it anywhere growing in my country. I want to use it. I want to order it. Can I use it as liver cleanser? Bhringraj is a powerful liver cleanser. So, one can use it for liver detoxification.